Image: The Washington Post/Getty Images. 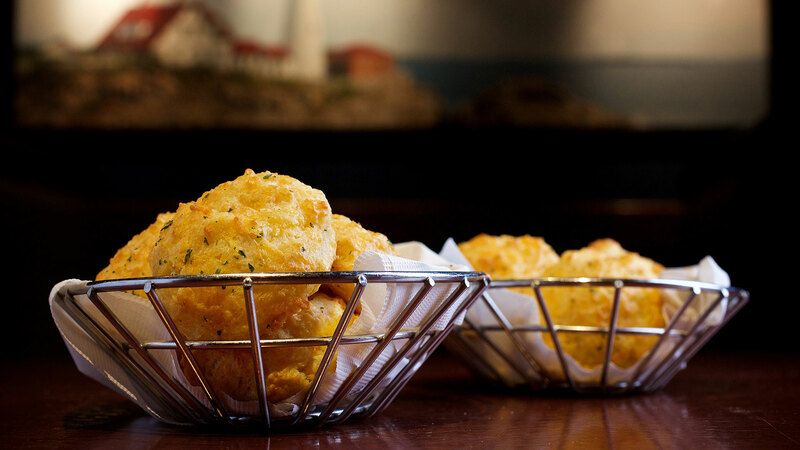 When's the last time you got your hands on Red Lobster's warm, cheesy, flaky Cheddar Bay biscuits? Whether it's been months (maybe even years!) or you had them, oh, a few days ago, Red Lobster is handing them out for free very soon. In honor of National Just Because Day on Aug. 27, whenever you place a Red Lobster order via the DoorDash app or website, you'll not only get free delivery, but they'll also add six free Cheddar Bay biscuits to your order — free of charge. And as we all know, those biscuits pair well with literally everything on their menu, be it crispy fried shrimp or irresistible snow crab legs. Not sure if Red Lobster delivers to your area? Chances are high they do, as the restaurant recently teamed up with DoorDash to expand delivery from nearly 400 Red Lobster locations. "We know our guests are busy, so we want to offer ways that make it easy and convenient for them to dine with us," said Kim Lopdrup, CEO of Red Lobster, in a press release in June when the DoorDash expansion was announced. "We're excited to expand our partnership with DoorDash as another way to grow our off-premise offerings and provide guests with an ultimate seafood dining experience, no matter where they are." Next, you're probably asking, why on this particular day? The answer is simple: just because! On Just Because Day, you can do whatever you want for no real reason and no explanation at all. According to National Day Calendar, this easygoing day, started as a family holiday by Joseph J. Goodwin in California in the late ‘50s, quickly grew into an annual celebration. And we're 100 percent here for it. So mark your calendars, because these biscuits are only free for one day.